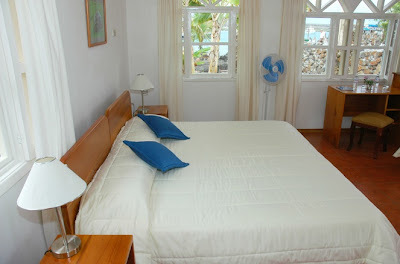 The hotel offers 9 standard rooms and 7 superior rooms, except of 2 rooms all have ocean view. All rooms are equipped with a safety box, air conditioning, a window and a balcony. The private bathrooms provide a hairdryer, soap, towels and hot water.